These Edelbrock universal EFI sump fuel systems are designed to provide the necessary high fuel pressure required for EFI applications in vehicles equipped with an existing low-pressure carbureted fuel system. They are complete self-contained systems that can be easily installed under the hood. The unique design of these systems allows them to deliver constant fuel pressure with no fuel return line, or external fuel pressure regulator. Edelbrock universal EFI sump fuel systems are compatible with the existing factory fuel tank and pump. They are ideal for use with various aftermarket EFI systems and with many popular engine swap applications that require constant 35-90 psi fuel pressure. 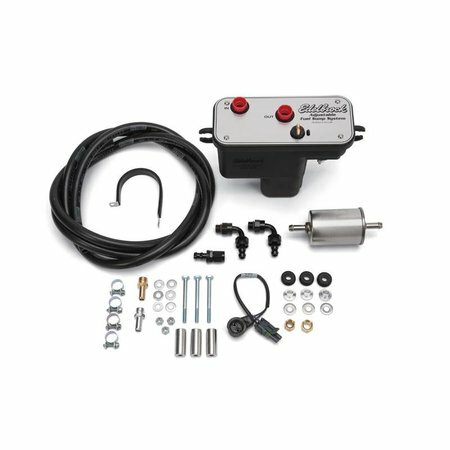 The systems feature a new compact design that is adjustable from 35 to 90 psi and include a vacuum reference port. They are available in 67 and 105 gph flow rates and can support up to 750 hp. Both are great solutions when used with an E-Street, Pro-Flo 3, or other aftermarket EFI system. 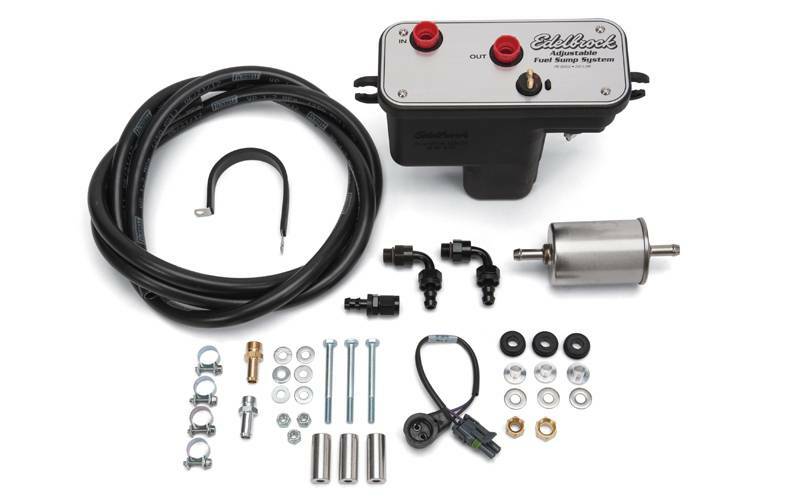 Edelbrock Universal EFI sump fuel systems are also available in a kit package. Each complete kit includes a wiring harness, universal mounting brackets, hose, fittings, and all of the necessary hardware for installation.